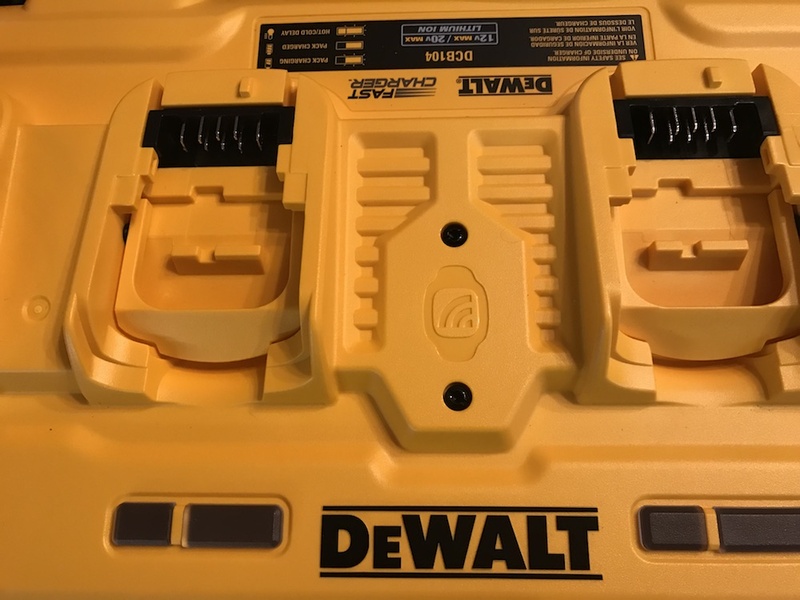 The DeWalt DCB104 Simultaneous Charger has a dedicated spot for a Tool Connect tag on top of the charger, with pre-drilled holes and screws for attachment. The DeWalt DCB104 has a dedicated spot to mount a Tool Connect tag. While it’s great to have a fast-charging simultaneous charger, it’s even greater if you can go longer before you NEED that charge. 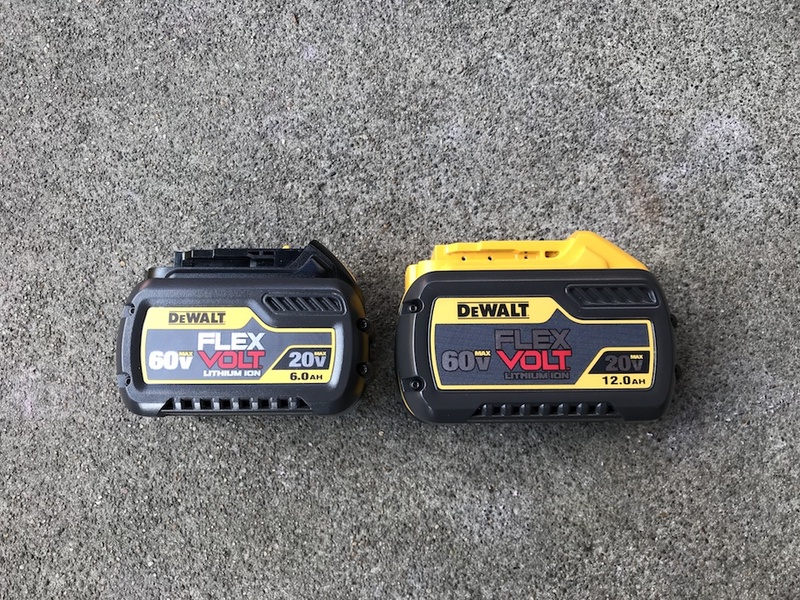 DeWalt recently introduced the Li-Ion version of an all-day sucker, the FlexVolt 60V MAX 12.0 Ah battery, model DCB612. 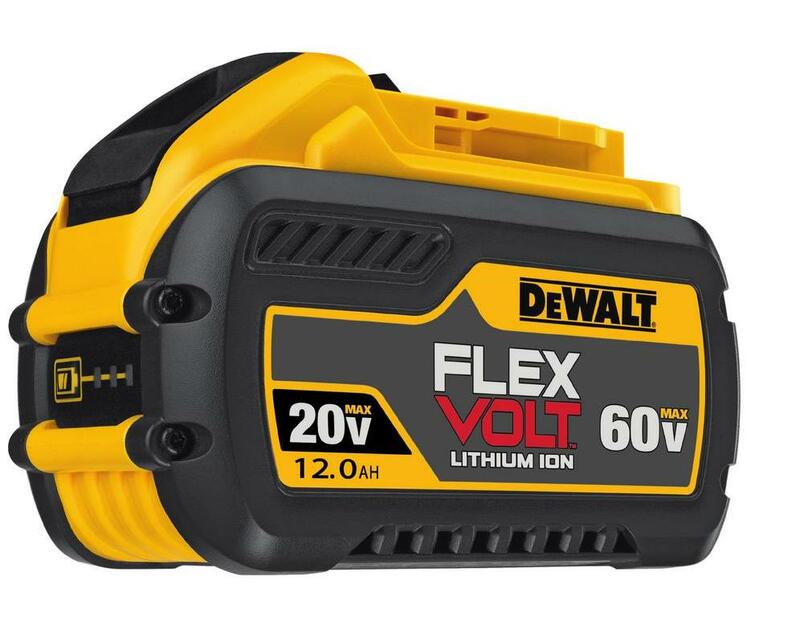 If you’re unfamiliar with their FlexVolt system, they’ve basically developed a battery that can detect whether the tool it’s in requires 20V or 60V, and adapt accordingly. 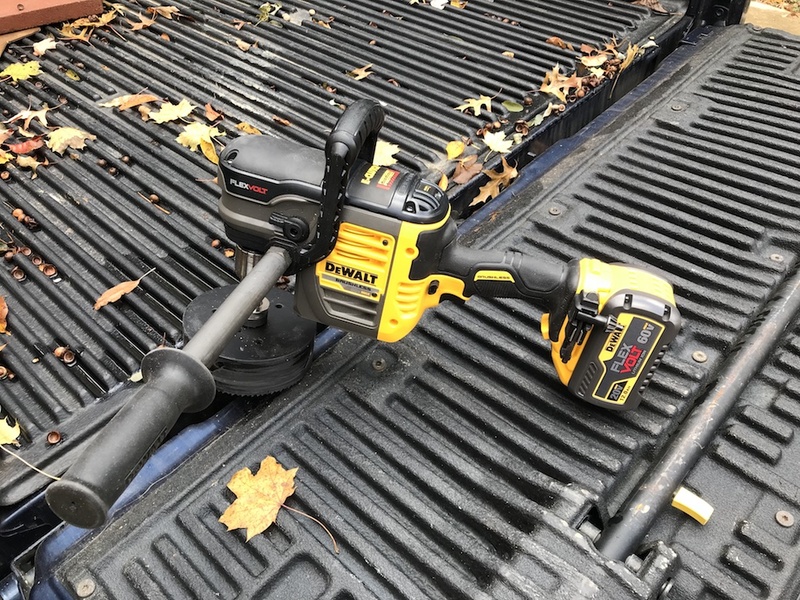 It provides a lot of oomph to power DeWalt’s lineup of 60Vand 120V FlexVolt tools, and if you strap it on a 20V MAX tool, you may never need a charger again. 60V FlexVolt drill + 12 Ah battery = Lots of big holes getting drilled. The battery geeks at DeWalt have been hard at work developing technology to pack more power into less space. The new FlexVolt 12.0 Ah battery is the same size as the 9.0 Ah version, and only slightly larger than their 6.0 Ah battery. Time To Take Charge Of Your Charging? For anyone working in the trades, time is money. And money is also money. You don’t want to sit around waiting for your turn to bring your dead battery back to life, but you also don’t want to have to buy several extra batteries, to be sure of having one that works. With the DeWalt DCB104 Simultaneous Charger, you can get four tools re-energized during lunch, or while you use one spare battery. 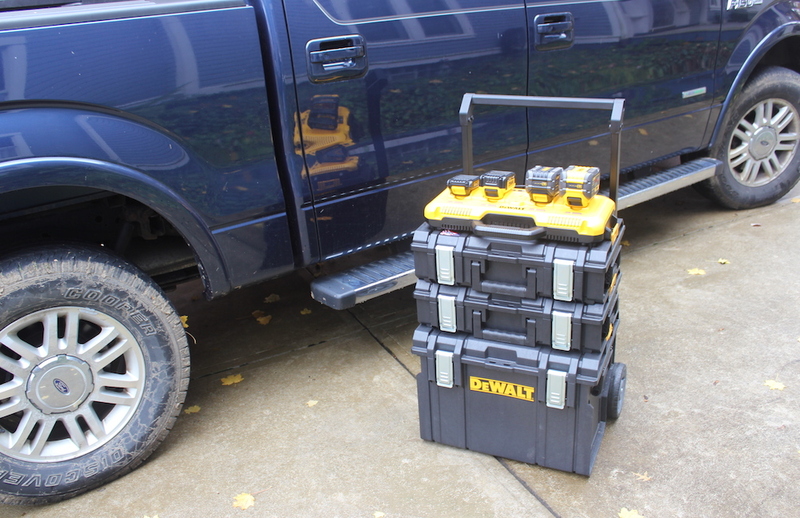 The charger is fast, rugged and well-made, and its ability to charge 12V, 20V and 60V batteries means it should handle ALL your DeWalt charging needs. I think it’s a great accessory, and I wish all the major brands offered one. DeWalt backs the DeWalt DCB104 Simultaneous Charger with a three-year limited warranty, and a year of free service. To give you a risk-free opportunity to experience the thrill of simultaneous charging, the DeWalt DCB104 Simultaneous Charger is also returnable for 90 days. The FlexVolt 12.0 Ah battery is backed by a three-year warranty, along with three years of free service. If you decide you really need a break, it is also returnable for 90 days. I totally agree with you as now a days, every tool is getting cordless and to power their motors an alternate power source is required. Thanks for sharing the review.